SHIMLA: The tribal areas, higher hills and several places in lower hills of Himachal Pradesh reeled under biting cold wave conditions as the minimum temperature dropped by three to five degrees in spite of clear weather on Monday. Thick ground frost occurred in mid and higher hills. Slippery road conditions made driving hazardous, while water pipes froze and burst at several places affecting water supply. The high-altitude tribal areas groaned under freezing conditions with minimum temperatures staying between minus 10 and minus 16 degrees Celsius while Keylong and Kalpa in tribal, Spiti and Kinnaur districts recorded a low of minus 6.1 degrees and minus 2 degrees Celsius. All natural sources of water including lakes, springs, rivulets and tributaries of major rivers including a 70 km stretch of Chandrabhaga river were frozen, drastically reducing the discharge of water in snow-fed Sutlej, Beas and Ravi rivers, affecting hydro power generation. 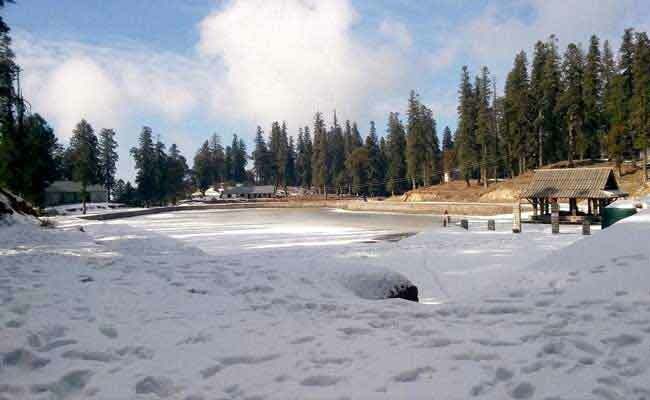 The key tourist destination of Manali reeled at minus 1.2 degrees while mercury dropped to 0.6 degree at Bhuntar and Sundernagar, followed by Solan 2 degrees, Palampur 3.7 degrees, Shimla 4.4 degrees, Una 5.6 degrees, Nahan 6.7 degrees and Dharamsala 8.8 degrees Celsius. Yesterday’s rain and snow marginally reduced the rain deficit from October 1 to December 26 from 94 to 92 per cent as the region received 7.5 mm rains against normal rainfall of 90.6 mm. The maximum temperature increased by a few degrees and Una in Shivalik foothills was hottest in the region with a high of 23.8 degrees while Sundernagar and Solan recorded maximum temperatures at 20.4 degrees and 19.5 degrees, followed by Bhuntar 18 degrees, Dharamshala 16.6 degrees, Nahan 17.5 degrees, Shimla 15.9 degrees, Manali 13 degrees and Kalpa 9.6 degrees Celsius.. The local met office has predicted dry weather in the region from December 27 to January 1.